Temperature range: up to 180°C. Electrical: 18 KW, 400 V 3/N + E 50 Hz. Belt-speed: adjustable 1 – 7 m/min. 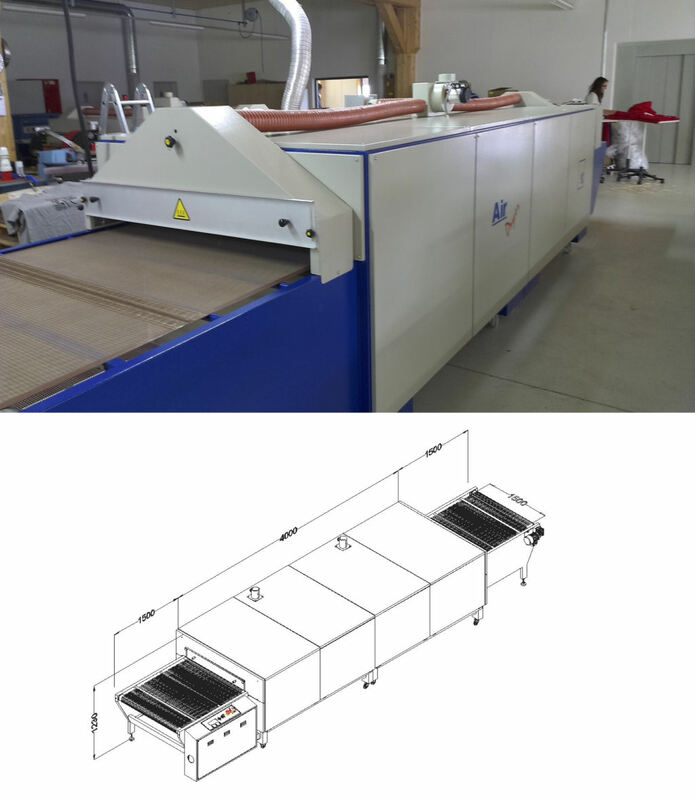 High speed tunnel designed for rapid curing of textile inks. Heat source consisting of the IR-radiators to guarantee long life and perfectly uniform heat distribution throughout the surfaces, not influenced by product colour. The tunnel reaches operating temperature within a few minutes. High precision of preset temperature. The insulation made of excellent quality materials using special techniques, the outside frame always remains at room temperature. Provided with extractor for expelling fumes produced. Conveyor belt made of material resistant to high temperature, with long-life guaranteed alignment system, and low maintenance costs. 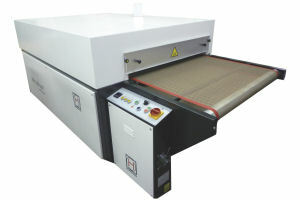 The adjustable air ventilation inside the dryer provide you also perfect results with waterbased inks.